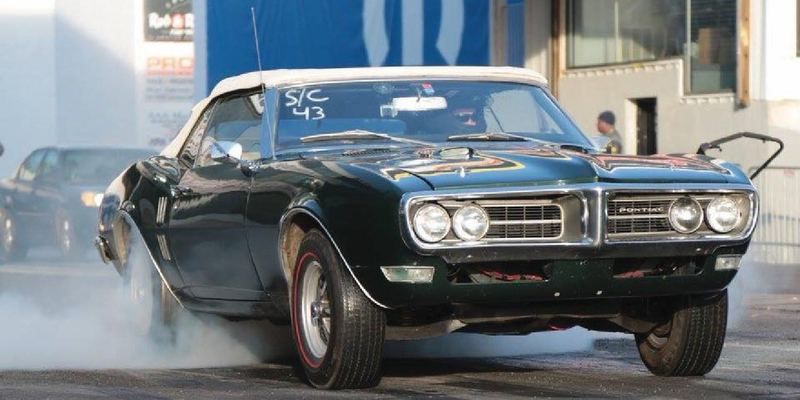 There were four generations of Firebird created. The first from '67 to '69. The second debuted in late '70 and lasted 11 years to '81. Just one year shorter was the third from '82 to '92. And the fourth generation released in '93 and the final 'Bird rolling off the line in 2002. The first generation Firebird was developed at the last minute by Pontiac after John Delorean's pet two seater project was axed by GM management. Because the Camaro was so far along when Pontiac came aboard, they could only change a few areas for the Firebird's identity. This was basically limited to the grill, hood, and rear end treatment. It's still amazing to me how good a job they did on that beautiful front end. Drivetrains were pretty much straight out of the A-body (GTO, LeMans) cars with the notable exception being a hamstrung carb limiting the horsepower of the top of the line motors. For '67 and '68 the performance models were simply 400s. In '69 a new choice arrived: the Trans Am! With the creation of the second generation, Pontiac was in the design room from the beginning. According to most sources, the overall appearance of the Camaro/Firebird was greatly influenced by Pontiac's stylists. This time, they could also differentiate the 'Bird with unique body sculpture lines creating a smoother less angular look than that of the second Camaro. DeLorean guided the new styling by insisting on a European look similar to the contemporary Maseratis and Ferraris. The only carryover model was the Trans Am. Pontiac performance specialist Herb Adams contributed greatly to the handling improvements made in the new T/A. After incremental changes in styling and options, GM finally revised one of the most successful designs ever when they debuted the '82 F-bodies. The emphasis this time around was efficiency. The drag coefficient for the new Firebird was one of the best of any car. Engine choices were fewer than Pontiac enthusiasts were used to and geared toward fuel economy. The styling theme of the redesign was the aircraft. This is apparent in the smooth flowing lines of the body and the appearance of the dash with its large round gauges. It was during this generation's reign that performance as we knew it returned. The 350 Corvette motor found its way under the hood and newer technologies provided good performance while maintaining credible fuel economy. And now for something totally different! Not really, but the fourth generation is certainly a vast improvement in many ways over its predecessor. Most important were structural rigidity and a manual transmission option on the performance motor! It's hard to beat the combination of performance, comfort, and style that the last Firebirds delivered. Even the base V-6 beats the horsepower rating of many of the previous Trans Ams.